This is one series that I have loved from the very beginning but this is the first book that I have actually read. The others were in audio format so seeing how the names are actually spelled was a bit of a shock and one that made me decide that listening rather then reading a fantasy is the way to go. Even struggling through some of the names, I have to say that I absolutely loved this book! Kaylin has yet again done the unexpected and managed me to make it work. All of my favorite characters were more then present and there were a lot of twists and turns. 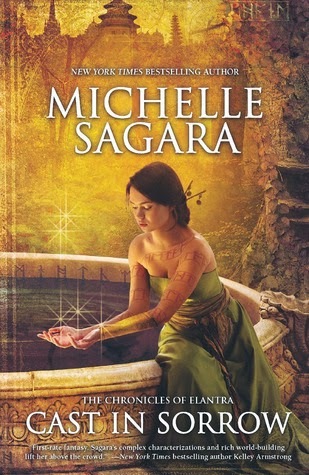 I highly recommend this book and series to anyone who enjoys fantasy. The genre of fantasy is harder to pin down because for the most part it is urban but set in another world. Rather unique and very enjoyable. I have read most of this series, think it's time to go back to the library and find the ones I haven't! I will have to try this series. I do love your book reviews, we like a lot of the same things. I just tried the His Dark Assassin series over the weekend and have loved them so far (first two).